Posted 10/31/2017 9:53am by Cherry Valley Organics. 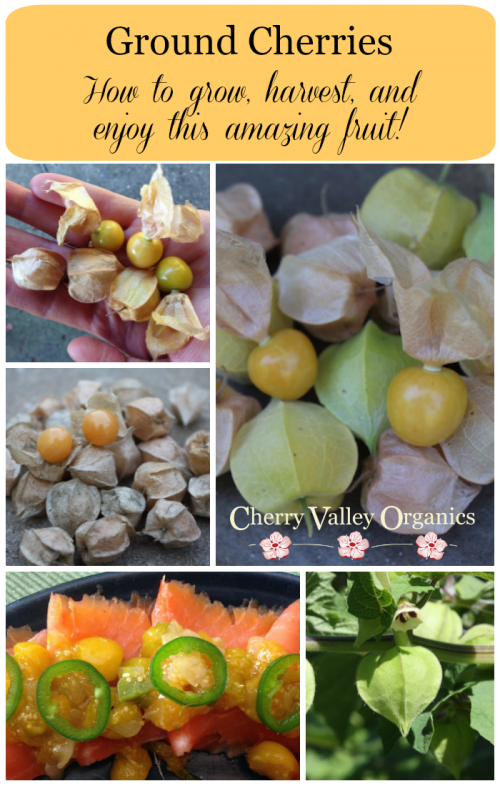 What are ground cherries? Don't worry, if you can't answer that question, you aren't alone. In fact, we hear the question a lot. A whole lot. 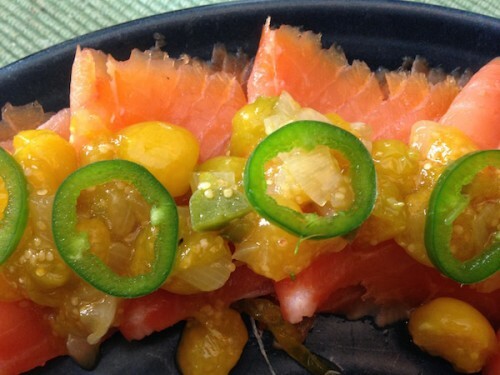 When people see a basket of this unusual fruit sitting on our market table, they're stymied. Ground cherries are seldom found in the grocery store produce aisle, and their papery husks hide their beauty and flavor. But once you've tasted the subtly sweet, flavorful pop of ground cherries, you'll never have to ask the question again. As it turns out, once you've tried them, ground cherries are pretty hard to forget. 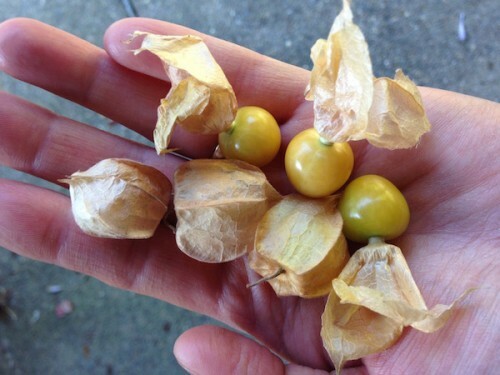 An answer to the question: What are ground cherries? 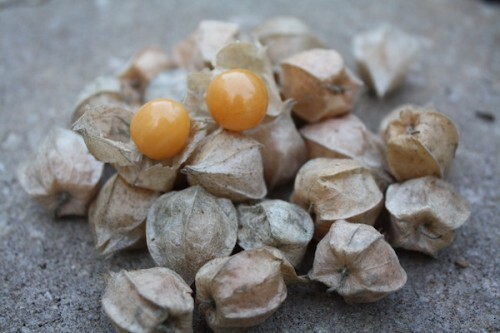 Ground cherries (Physalis pruinosa), also called cape gooseberries, are a fruit native to the Americas. They're in the same botanical family as their more-popular cousins tomatoes, potatoes, eggplants, and tomatillos. Though some members of this plant family are poisonous (hello, nightshade and mandrake, we're talking to you! ), the fruits of ground cherries are decidedly not. In fact, the ground cherry is a very nutritious fruit, filled with Vitamins A and C, beta-carotene, potassium, and many other nutrients. 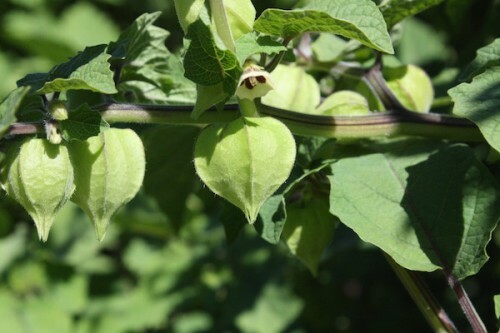 Just like their tomatillo kin, with whom the ground cherry shares a genus, each ground cherry fruit is covered in a thin, papery sheath. The fruits measure one-half to three-quarters of an inch across, and their taste is a subtly sweet mixture of tomato and pineapple. Their flavor is best when the fruits are fully ripe. You'll know they're ripe when you peel back the papery sheath and the fruit beneath it is a soft orange color. Ground cherries fall from the plants just before they're fully ripe. All you have to do is collect the husk-covered fruits off the ground for the perfect harvest. We sell delicious ground cherries at the peak of ripeness from late summer through fall via our Farm Share Subscription Service and at our farm market table, but you should also consider growing ground cherries of your own. It's easy to start ground cherry seeds indoors under grow lights about six to eight weeks before your last expected spring frost. Here at our Pennsylvania farm, we start ground cherry seeds in mid March. If you don't want to start your own plants from seed, we sell starter plants every spring both at the May Mart at Phipps and The Sewickley Farm Market on Saturday mornings in Sewickley, PA.
Because the plants are frost sensitive, ground cherries are a warm-season crop that's best planted out into the garden after the danger of frost has passed. Once the transplants are moved outdoors, they'll grow quickly, with each plant reaching at least two feet high and three feet across. You can stake the plants to keep them upright, if you'd like, but we prefer to let them ramble across the soil. A fruit is produced at nearly every leaf juncture, so bigger plants mean bigger yields. Ripe ground cherries will begin to fall from the plants about 70-75 days after planting the seeds, and harvests will continue for many weeks thereafter. Fresh, ripe ground cherries are difficult to resist, and many times the fruits don't even make it into the kitchen. To enjoy them fresh, simply push the fruit out of its husk and pop it into your mouth. If you have a lot of ground cherries, there are also many wonderful ways you can cook with them. The best way to store these small fruits is in their husks at room temperature. While some varieties last longer than others, you can expect ground cherries with their sheaths intact to retain their crisp texture and sweet flavor for up to three months after harvest. Now, if you ever hear someone ask "What are ground cherries?" you'll have an excellent answer!